Knowing the differences between the best fitness trackers of 2017, like Garmin Vivosmart HR, Fitbit Alta or Jawbone UP3, and choosing the right one for you can be a tricky task. Whether you want to use a fitness tracker to monitor your activity, health or even for collecting data to improve in your favourite sport, we can make it easier for you to find the best fitting activity tracker. Choosing a fitness tracker depends on your individual needs and lifestyle activities. Most fitness trackers cost between $50 and $250. The less expensive fitness trackers usually don’t have a display, so you have to look on your smartphone to see the data, whereas more expensive trackers have a display and often include an optical heart rate monitor and GPS. If, on the other hand, your primary activity is walking, it can be unnecessarly expensive to buy a fitness tracker with advanced features for sports monitoring. An important question is what kind of fitness tracker fits you the best, which greatly depends on your usual activities. There are bracelets, watches, or clip-ons to choose from. To help you decide, we have compiled a list with the most important features that have to be taken into consideration when buying a fitness tracker. Depending on your activities and style, you can choose between different types of fitness trackers: bracelets, watches and clip-on. Bracelets and watches are harder to loose, whereas clip-ons can easily fall off. However, each type has its advantages. Bracelet fitness trackers, like the Xiaomi Mi Band 2 or Fitbit Alta, are designed to be worn on the wrist and are usually very thin and light, as they have a small display or, in some case, only LEDs for notifications. Watch-style fitness trackers are larger and can be very stylish (for example, Fitbit Surge or Withings Activité). Having a larger display, these activity trackers can be easily used for viewing activity reports. Clip-on fitness trackers are very discreet and you can attach them to your clothes or running shoes if you prefer to keep your wrists free. They are very small and have a design that allows you to wear them on any occasion, attached to your outfit or using some accessories. For example, the versatile Misfit Ray can be easily placed in a bracelet or necklace. When it comes to design, features like the band, display and water resistance are important characteristics. Display: Clip-on trackers often don't have a display to show your data, like the Misfit Ray, the Misfit Shine 2 or the Jawbone UP3, so you have to use your smartphone to follow your activity, which can be inconvenient if you want to have a quick look while running or swimming. However, many fitness trackers have touch displays, like the Garmin Vivosmart HR or the Samsung Gear Fit2. The average screen size is 1.33 inches. Band: Wrist-worn devices are mostly thick and lumpy, so not really the perfect accessories to your outfit, whereas clip-on devices are in general smaller and more discreet when you wear them on your wrist or clip them on your clothes, shoes or into a strap to wear around your legs, like the Moov Now. One of the thickest trackers is the Vivoactive HR, probably due to the multisports features that this tracker offers, followed by the Vivosmart HR and the Samsung Gear Fit2. Smaller devices are for example the Fitbit Alta, Misfit Ray and the Xiaomi Mi Band Pulse. If you wish to change the straps the Fitbit Alta may be a good solution with its big variety of coloured straps. Waterproofness: Most fitness trackers are resistant to splashes or rain due to their water-repellant coating. Top fitness trackers are waterproof, which means they can be submerged into water, which is convenient for swimming, although not all the waterproof trackers actually track your swimming like the Vivosmart HR, which is waterproof to about 50m. Is there anything worse that could happen with your fitness tracker while you are working out than it running out of battery? Considering the inconvenience to charge it every time you plan to work out the battery seems to be a very important feature. If constant planning of charging your device is something that you are really bothered by, the Misfit shine 2 may be a good solution for you, since its battery life lasts quite long compared to other devices. Also the Samsung Gear Fit 2 seems to be a good solution concerning long battery life. The Vivosmart HR’s battery life lasts about a week. Shorter battery life on the other hand, can be expected from fitness trackers like the Fitbit Charge HR and the Fitbit Charge 2, the Microsoft Band as well as the Band 2 and the Motorola MOTOACTV. There are different kinds of heart rate monitoring: The Charge 2, the Garmin Vivoactive HR as well as the Garmin Vivosmart HR+ are reading your heart rate during the whole day while other trackers, like the Apple Watch or the Jawbone UP3, only measure your heart rate when you're working out. Some trackers, like the Samsung Gear Fit2 or the Fitbit Charge 2, have a built-in optical heart rate monitors. The tracker measures your heart rate by detecting the blood that is pumped into your veins, which is more comfortable than wearing a chest strap but if accuracy is very important to you the chest strap might be a better solution for you. Most of the fitness trackers automatically detect when you are walking but in most cases you also have to manually put the fitness tracker into an activity tracking mode and enter workouts like cycling or swimming like with the Misfit Shine, the Misfit Flash and the Moov fitness band. So if you prefer to get started immediately without worrying about that, devices like the Amiigo fitness band, the Atlas Wearables band and the Basis Peak and Basis B1 watch may be a good solution for you. They auto-detect and categorize the activities like swimming, cycling and even push ups. Through the companion app or website, your activity data is analyzed to give you reports. This allows you to see how active you have been and to help you make improvements. If you want to track your running activity your watch should show time, lap time, distance and pace and it should have a built-in GPS, otherwise you would have to carry your smartphone while running. 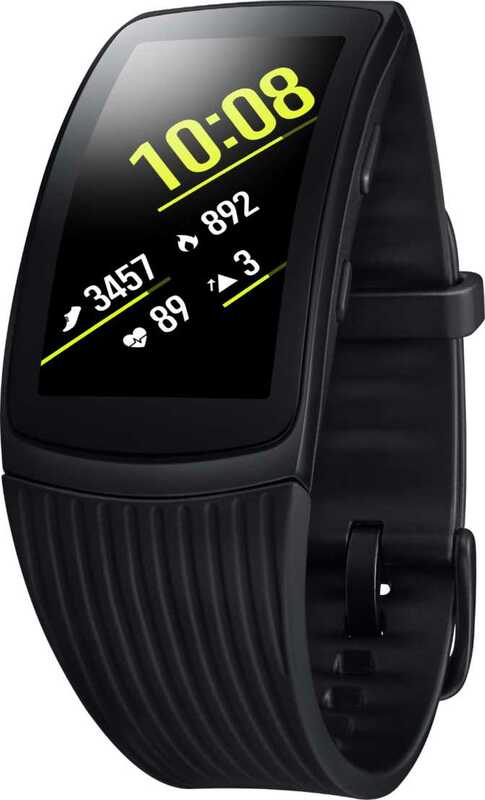 Fitness trackers with a GPS included are, for example, the Vivosmart HR, the Vivoactive HR and the Samsung Gear Fit2. For cycling important features can be tracking of the pace, the distance and the calories you burn. Devices like the Fitbit charge 2, the Moov Now, the Misfit Shine and the Garmin Vivoactive support bicycle tracking. With a strap around your ankle, you can additionally get your power and cadence measured with a power meter and a cadence meter that calculate the number of rotations you pedals make in minute and estimating the power it took, like the Moov does. The Misfit shine 2 does track swimming, as well as the Garmin Vivoactive HR. 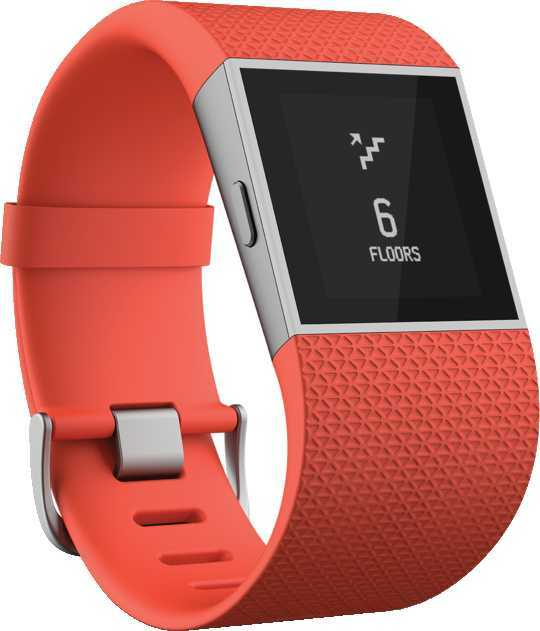 The Fitbit Charge 2 offers in combination with its app several features combined, including wellness features like breathing training and the rating of the maximum volume of oxygen that the user can use, which is measured in ml/kg/min (VO2 Max). While the heart rate of the Fitbit Charge 2 is a bit shaky during intensive work out and is more suitable for wellness and basic activity, the Moov Now is an advanced sports coaching tracker, created for training plans and to collect data of the sport you are doing. You can increase the levels of difficulty gradually to finally improve in your favourite sport. If you are interested in improving, the Moov Now also provides feedback on your workout. Most of the devices count how many calories you have burnt, which is rather an estimation of the burnt calories since it is difficult to measure it correctly. The more estimation algorithms they use, the better the estimation will be. Important and helpful for the right estimation is the resting caloric burn, which is the number of calories you burn while resting, as well as the possibility to enter the specific activity so the burn rate is calculated more accurately. The FitBit, Jawbone UP2, and Misfit for example are using the resting caloric burn and the FitBit and Jawbone allow you to enter the specific activity. 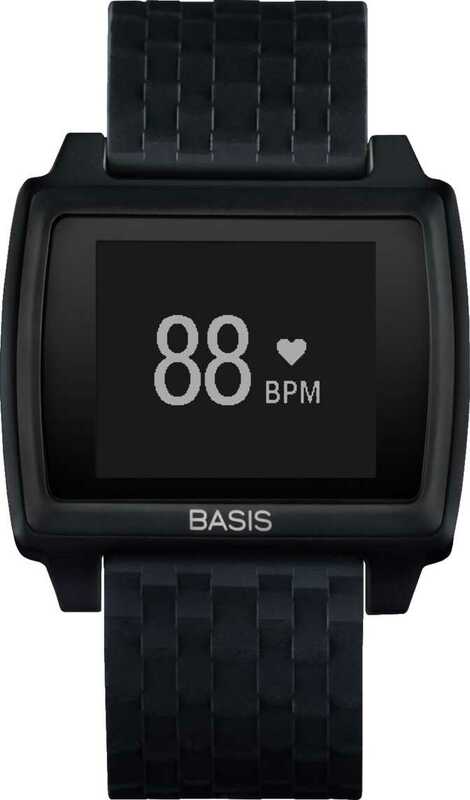 Some bands like the Basis use the sweat level, the heart rate and the body temperature for the estimation. Almost all fitness trackers can track the time you spend sleeping and the quality of your sleep, often using a three-axis accelerometer to monitor even the slights movements you do during your sleep. Some trackers with a display can report graphs showing you the changes from light to deep sleep like the Jawbone UP3, that also reports your REM. The Jawbone UP3 additionally monitors the user's respiration rate, body temperature, bpm and galvanic skin response. The Basis Peak automatically detects when you fall asleep, so you don’t need to activate the tracking yourself. It also reports REM cycles, deep and light sleep phases , and shows you a sleep quality score in a graph on the display. Some advanced fitness trackers that track your sleep have an alarm that can wake you up when you are in a light phase of your sleep, so that you feel more fresh when waking up. Devices with a smart alarm are the Xiaomi Mi Band Pulse and the Misfit Ray. For a little motivation kick there are devices that alert you when you haven’t moved for longer, which can be encouraging to stay active. Fitness trackers that detect this are for example the Polar Loop 2 and the Garmin vivofit 3. Fitness trackers can be in most cases paired with your phone and notify you when you receive a message or a call. The ones that have a display allow you to check your messages and, in some cases, even reply, like with the Samsung Gear fit or the Sony SmartBand Talk SWR30. There are several connectivity options for fitness trackers like Bluetooth, ANT+, GPS, WiFi and Glonas, which are mostly used for exchange between the tracker and the paired device. 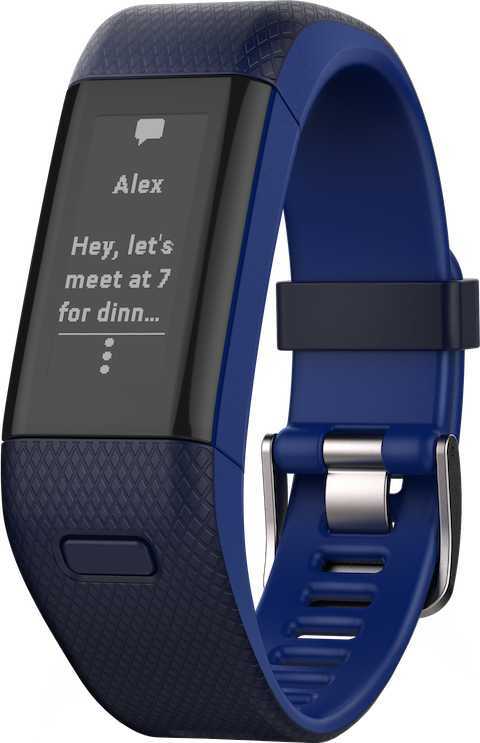 Most of the trackers, especially the ones with a heart rate monitor, like the Fitbit Flex, have Bluetooth 4.0 which is a lower power and upgraded version of the normal Bluetooth. The GPS allows a more accurate data of your steps and the distance you ran. ANT+ was mostly created because with Bluetooth you can only exchange data within 2 paired devices. It is mostly used in trackers with heart rate monitoring also due to the low power consumption.